Is your barefoot running form correct? 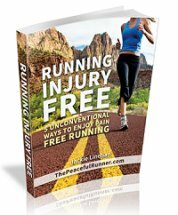 Having the correct barefoot running form is essential to running injury free. 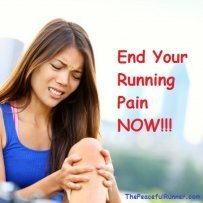 If you are landing on your heels or are not sure if your have the correct running form, the information in this article should help you improve your running form and ensure that your barefoot running technique includes a gentle forefoot strike and knee drive from the hips with foot landing underneath knee. Christopher McDougall recently did an article for the NY Times. In the article he suggests what he calls a "fool-proof way to run perfectly." He is talking about the "100-Up Exercise" that was invented by Walter George in 1874. Using the 100-Up exercise for only two years, Walter became the fastest amateur miler in England. After five years, he became a world record holder for multiple distances. McDougall himself reports faster racing times and a personal best using the 100-Up Exercise without a serious training schedule. If you were previously a heel striker and are just beginning to run barefoot, your calves will probably hurt a lot in the beginning. Running with a heel strike doesn't utilize the calves and prevents them from absorbing the shock when landing. With time, the muscles in your calves will develop, become stronger and will be able to naturally support your feet without pain. Dr. Mark Cucuzzella is a 44-year-old barefoot runner who is probably one of today's faster barefoot runners. Cucuzzella was told by his surgeon while in his 30s that he would have to give up running as his feet were so malformed due to surgery and arthritis. 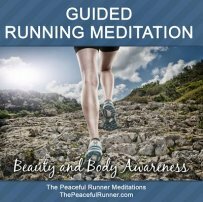 We can improve our barefoot running form and running technique. Sometimes it means trying new techniques and exercises and relearning how to run -- all requiring time, patience and practice, but well worth the effort!